More like a scrumptious lunch break from the 7+ hours drive from Manila. 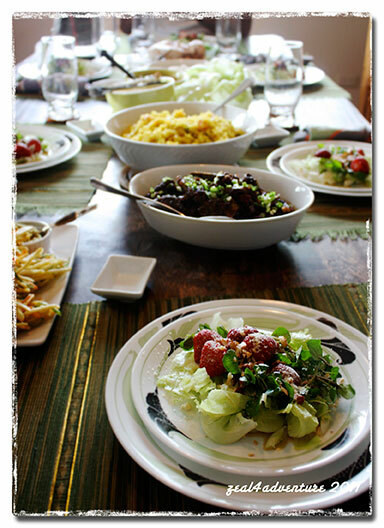 It was an eagerly anticipated side trip, a delectable meal guaranteed. 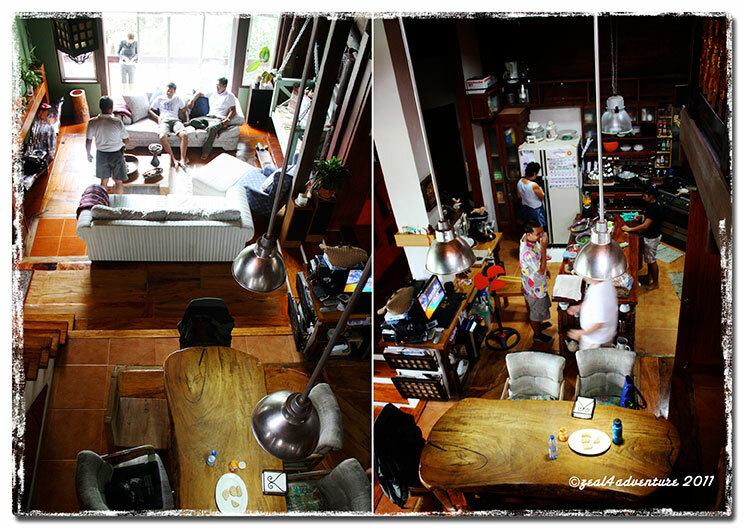 Taken from the 2nd floor: Left photo — where Dr. Kalugdan entertains while Dra. Kalugdan happily slaves away in her territory that is the kitchen (right photo). The Kalugdans are perfect hosts. 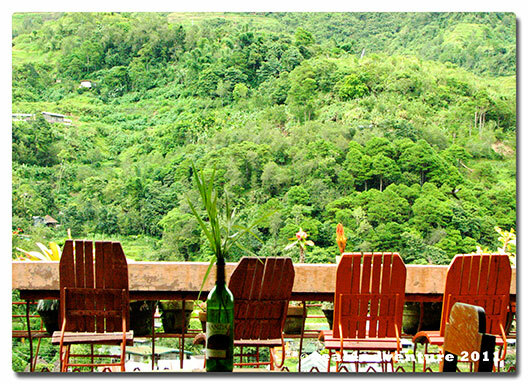 Their charming house, which they designed themselves, overlooks a fantastic view of the Ibulao River. We went rafting there once and that was how we got to know them. Lovely couple. 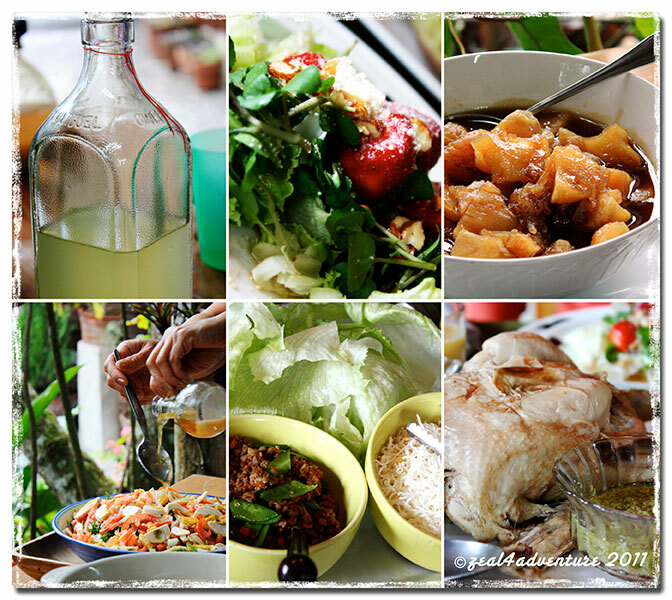 Kiangan of course is more than rafting and scrumptious meals. It is also where Nagacadan Rice Terraces, one of the clusters inscribed on the UNESCO World Heritage list, is located. I have yet to explore this historic town and first on the list is the Philippine War Memorial Shrine – a gigantic memorial shrine commemorating the end of WWII. It was in Mt. Napuluwan in Kiangan where Gen. Yamashita surrendered so it might be worthwhile to check out the site as well. 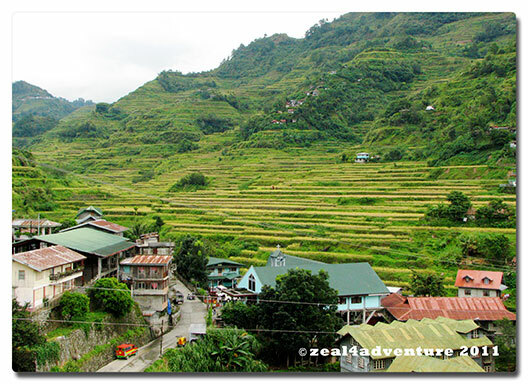 Historic town and rice terraces aside, the town boasts of many natural wonders as well. Ambuwaya Lake is one. 4 km from the town center and is said to be reachable by 4W drive vehicles. Uttu waterfalls is likewise on my list of must see. Someday, Kiangan will not be a side trip only. Credits: Quickpage by LCP using the “You are Awsome” collaborative kit created by J Sprague. This is describing a structure built more than 2,000 years ago. Awesome, isn’t it? 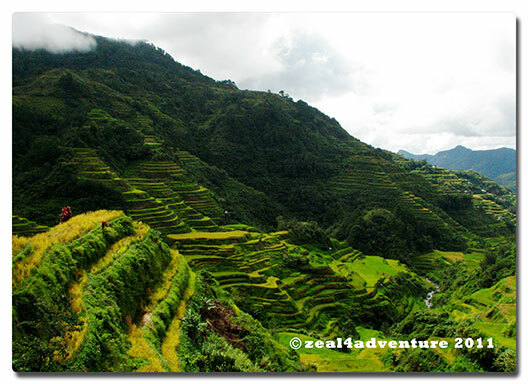 Although because of the presence of many modern structures around, the Banaue Rice Terraces was not included on the UNESCO list of “World Heritage in Danger”, it nonetheless holds the same complex trickle-down irrigation system that the UNESCO inscribed clusters have. 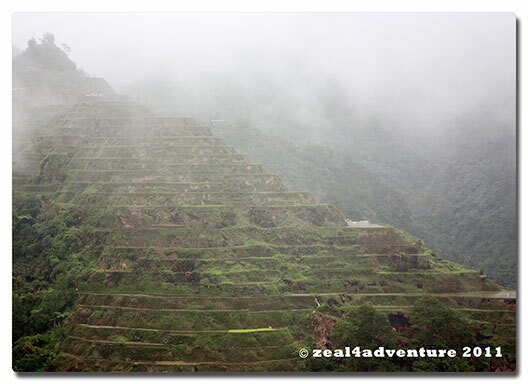 And these clusters, all found in the Province of Ifugao, are Nagacadan Terraces in Kiangan, Hungduan Terraces, Central Mayoyao Terraces, Bangaan Terraces and Batad Terraces. A very touristy thing to do. 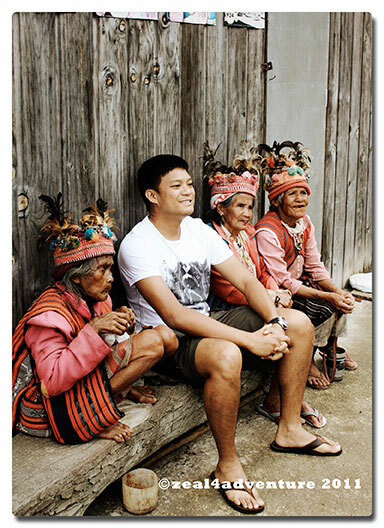 For a fee, one gets to be photographed with these Ifugao women. 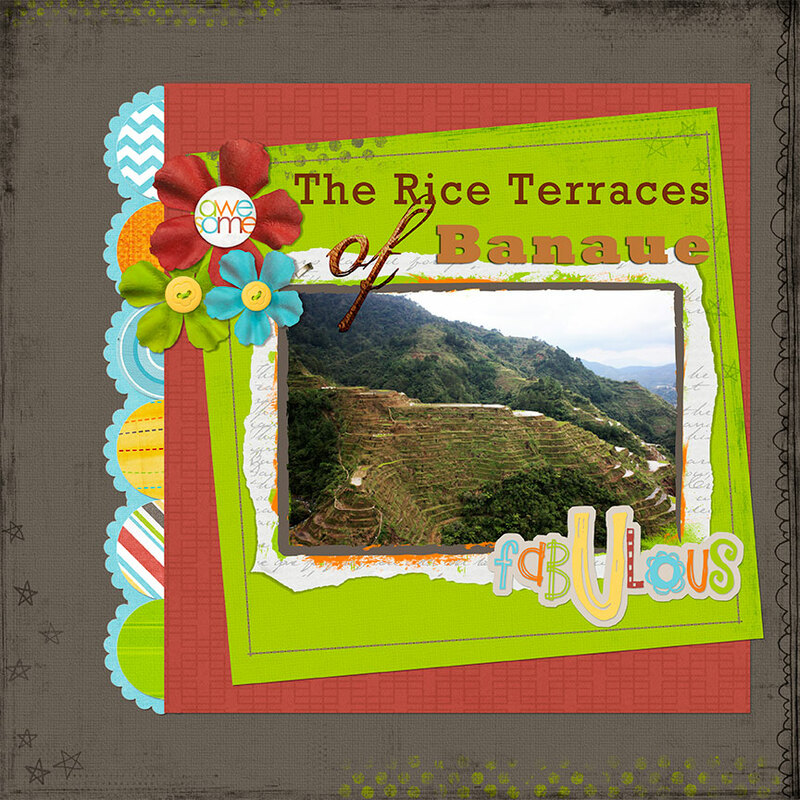 The Banaue Rice Terraces however, despite the exclusion, remains to be the more popular tourist destination due to its accessibility and proximity to town, which is proving to be both harmful and beneficial to the land. 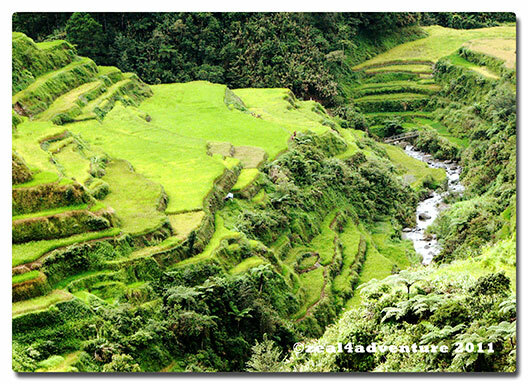 These stonewalled rice paddies is considered one of mankind’s greatest engineering feats and is every Filipino’s pride. The terraces as seen on our P1,000 bill. 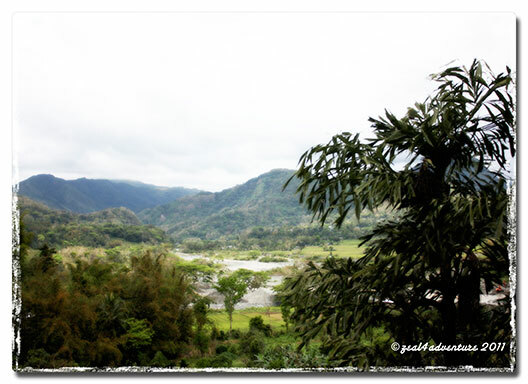 The 8th wonder of the world (as many Filipinos call it) begins at the base of the mountain and extends upland following the contours of the mountain– almost 5,000 feet above sea level. This is North Luzon’s most famous sight and one of Southeast Asia’s most popular tourist destinations. Famous not only for its sculpted beauty but for the traditional craftsmanship and cultural landscape dating back many centuries and is preserved to this day. That said, these terraces are slowly being abandoned and already showing signs of damage and deterioration due to the lack of maintenance. Many of the new generations would rather pursue work outside of the rice fields, opting to be guides or drivers. 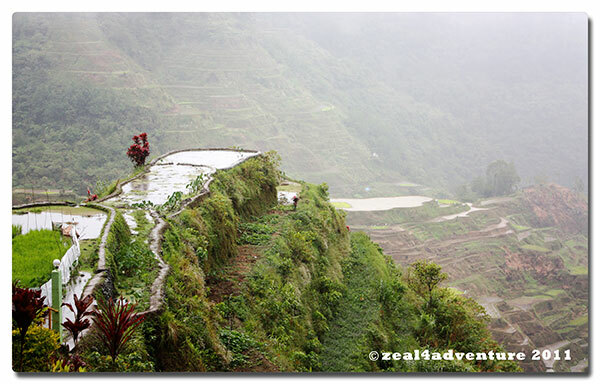 Banaue is some 348 kilometers away from Manila and a good 8-10 hours drive. It is a small market village sitting about 1,500 feet above sea level. The town is not exactly enchanting, thanks to poor planning but it has its own appeal, me thinks – how can you go wrong anyway when breakfast comes with a view like this?